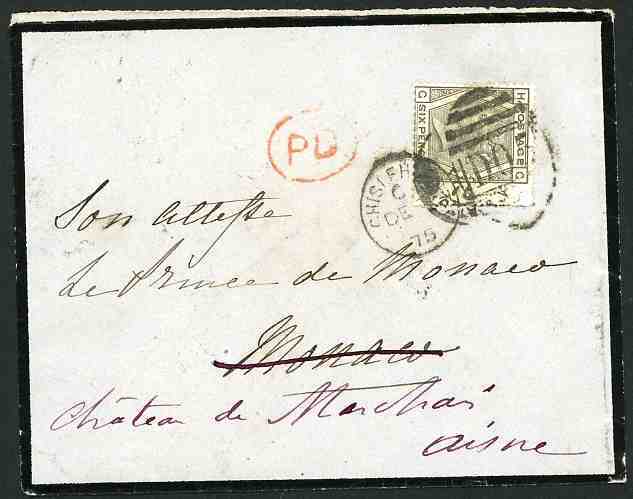 Great Britain to MONACO. 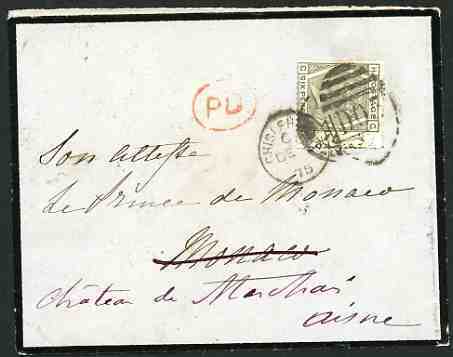 1875, 6d grey plate 14, cancelled by "D05 / CHISLEHURST DE.5.75" duplex (the town of Napoléon III exile) on Mourning envelope addressed to "Son Altesse Le Prince de Monaco" and redirected to "Chateau de Marchais, Aisne", France (this chateau is still owned by the Grimaldi family today). 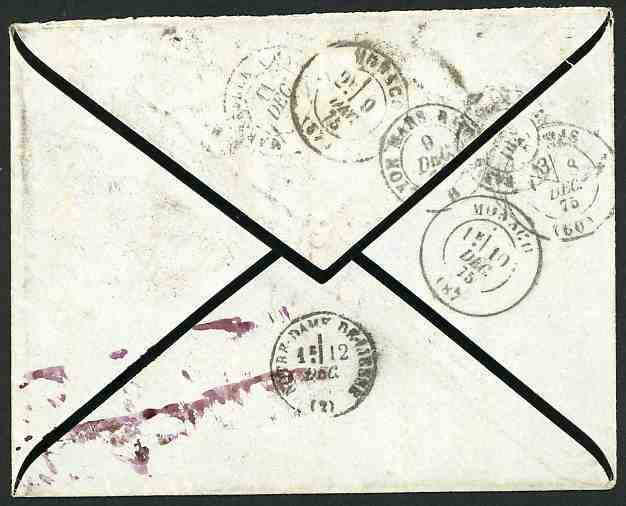 Various backstamps including Monaco 9 dec 75 and 10 dec 75. Very fine and extremely rare destination. Africa at the Umbanzi River, after his party were ambushed by Zulu warriers.